If you can't get over The DUFF and A Midsummer's Nightmare like me, you should definitely not miss Secrets and Lies. This is a companion book that contains two short stories for the two books of Kody. The second short story is People Worth Knowing which is the spin off for A Midsummer's Nightmare. This story is highliting Bailey, Nathan's little sister ans Whit's stepsister. Ok I know this sounds weird but that's the reality. haha. It's about Bailey's story of choosing the right thing over popularity. It's been hard for her. You know Highschool. It will either make you or break you. Bailey's kinda making it to the popular girls at school because she's part of the cheerleading team and is friends with Justine, the most popular freshie. And it makes Bailey happy. Plus, she's the sister of the boy she likes. But when Bailey's so called friends makes something awful to Elise, she's been guilty because 1) she's been the reason why Justine did it 2) because Elise is nice to her and 3) it doesn't feel right. But she's been afraid of spilling it out because 1) for sure she'll be unpopular 2) she'll be bullied the way Elise was bullied and 3) Brody might unlik her. Good thing Nate and Whit's there to enlighten her and support her. She did the right thing. Even if it Elise is such an ungrateful brat. In the end, popularity is not important. 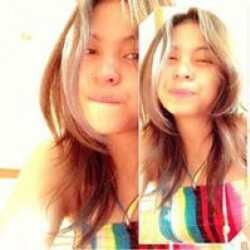 what matter the most is always being right and if they're real friends, they are really worth knowing. 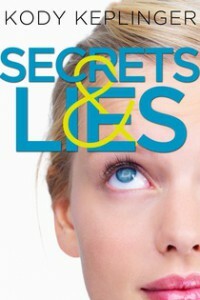 but why is it titled Secrets and Lies, you will find out when you read. haha. okay. is this long enough?! coz i still got my feels. lots of lots of feels and only Kody gave me that in all her book that I've read ❤❤❤ If she permits, I want more of Toby and Casey please. But for now, so excited for LOL ❤ hihi. Amy Rush tho.